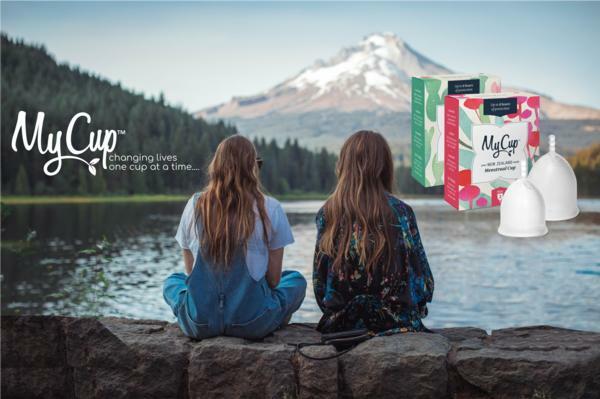 MyCup™ NZ has just released the first New Zealand Made Menstrual Cup. Its launch two weeks ago has been hailed as a life changer for NZ women. Menstrual Cups have come a long way in the last 10 years and are fast becoming the most convenient menstrual management product. Menstrual Cups are healthy, safe, eco-conscious and economic. Menstrual Cups can be used whilst swimming, all types of sports activities, sleeping, and best of all travelling. No more having to drag around boxes of tampons and pads wherever you go! MyCup™ is a social enterprise that wants to end period poverty in New Zealand by 2022. For every MyCup™ Menstrual Cup that you buy they will donate one to a community in need in New Zealand. So far they have donated 1145 cups and this equates to a real savings of $2,740,000 overall for individuals and communities. MyCup™ is already actively working with community partners to distribute free cups into areas of need - Northland is leading the way with the Tukau Trust committed to converting two entire towns to menstrual cups to save their community millions of dollars. Did you know that most sanitary pads are made from 90% plastic materials and that 1 pack of sanitary pads contains the equivalent amount of plastic as 4 plastic bags. Also it can take anywhere from 500-800 years for a tampon of sanitary pad to break down in our landfill. These statistics are incredibly overwhelming. Our menstrual waste will far outlive us and that is something we need to change. Menstrual Cups change lives, empower the women using them and help the community with costs that they simply cant afford. Maybe its time that you made the change to a cleaner, greener period and support a social enterprise hoping to end period poverty in New Zealand.